Ancient Cowee Mound rises above a field of hay in Macon County. Reporter Lilly Knoepp speaks with members of Mountain Partners about what the partnership between the Eastern Band of Cherokee Indians and local Macon County residents means to the community - as well as the work behind the over $28 million dollar conservation effort. 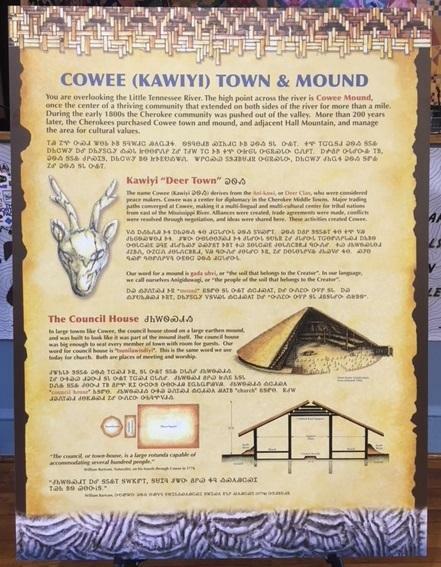 The first panel of the cultural corridor will be placed across from the Cowee Mound on a viewing platform to the sacred spot. 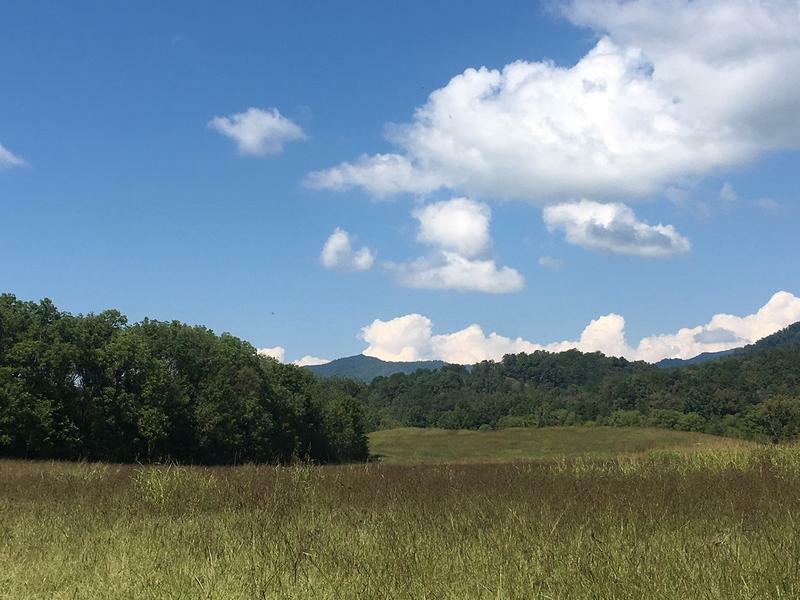 “This area here along the banks of the Little Tennessee River, there was a town here. Technically, this was the second most important town in all of Cherokee World. This was called Ani-kawi and this was the Deer Clan Town,” says Belt. Informal conversations about building this cultural corridor began almost 7 years ago. That led to the formation of Mountain Partners. 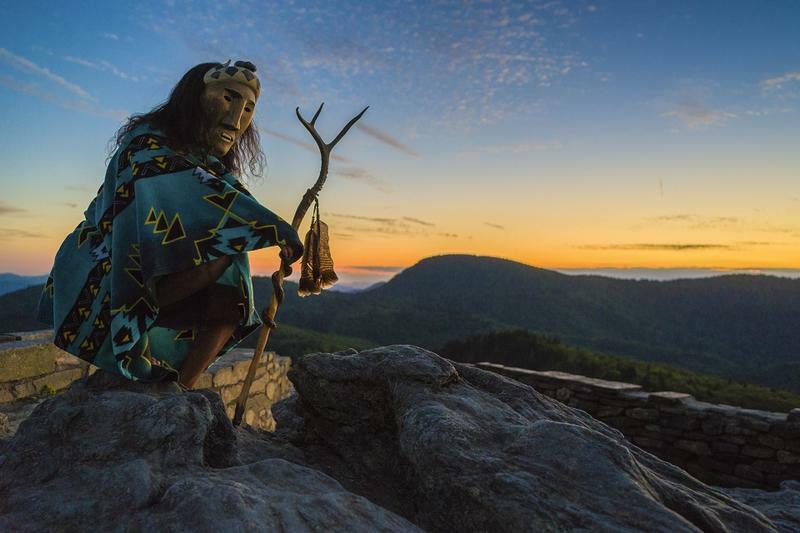 The group includes which includes members of the tribe, the town of Franklin, Mainspring Conservation Trust, the Nikwasi Initiative, Macon County officials and Cowee School Arts and Heritage Center. Late last month, the panels of the corridor’s first kiosk which tell the story of the mound in English and Cherokee were unveiled. Stacy Guffey is a member of Mountain Partners board of directors. He says that that project is the result of years of partnership. “It’s taken about 20 years worth of work just to have the landscape in place so that we can do this work,” says Guffey. “That’s the most powerful part of the story to me,” says Guffey, who is the project manager for Cowee School Arts and Heritage Center. Almost $9 million dollars is invested so far in this project, with around $5 million of that coming from the Eastern Band. A big portion of the corridor also includes the Needmore Tract. Conservation of that over 4,500 tract of land cost the state $19.2 million dollars - making the scope of this project over $28 million dollars.